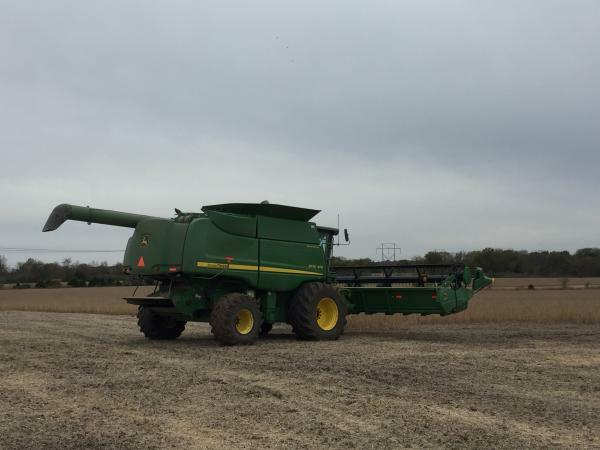 The chemical has been blamed for 3.6 million acres of damaged soybeans in 2017 alone, according to University of Missouri weed specialist Kevin Bradley. With that in mind, many in the industry expect more farmers to purchase Xtend soybean seeds, Monsanto’s dicamba-resistant product, for the 2018 growing season. Harvest Public Media's Kristofor Husted looks at how pesticide drift damage will influence farmers' seed selection for the 2018 growing season. “If they're aware that someone close to them is going to spray dicamba, sometimes their choice to buy Xtend soybeans is just for that reason in itself — just so they can reduce the chances of getting any kind of injury as a result of it,” according to one Missouri farmer who was a victim of dicamba drift. He spoke with Harvest Public Media on condition of anonymity because he also sells seeds, and is worried that talking about dicamba will have repercussions for his business and his relationship with chemical and seed companies like BASF and Monsanto. “I know there’s been touchy subjects over the years, but this is probably one that certainly sticks out in my mind just because we’ve had drift issues for years on other products, but I haven’t seen it get to the volume that we’re hearing about today,” he says. In 2016, the Environmental Protection Agency approved dicamba, a synthetic solution, for farmers wrestling with weeds like Palmer amaranth and waterhemp that are growing resistant to traditional pesticides. When sprayed, dicamba can drift from fields where the soybean plants have been genetically modified to withstand dicamba onto neighboring fields or orchards where the crops haven’t been genetically engineered to survive that pesticide. Since its approval, more than 2,700 official investigations in 25 states have been launched into drift damage. In Missouri alone, there were 375 drift complaints this year, with 310 of those possibly dealing with dicamba. 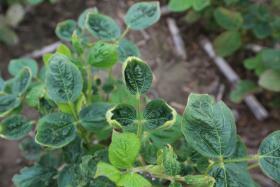 Last year, the state saw 97 drift complaints; 27 possibly involved dicamba. In response to this year’s crop damage, the EPA put forth stricter limitations on when and how farmers can spray dicamba. Weed scientists at universities across the country say the chemical wasn’t properly vetted and pushed to market too quickly. But Monsanto says the product is tremendously successful and user error is to blame for drift damage. “I've been around forever and I've never seen an issue like this where if there was a problem it would be shut down immediately,” Lyndon Brush, a crop consultant in Missouri, says. He adds that many farmers are waiting to see whether states add extra restrictions. Arkansas, which has seen the most damage, temporarily banned dicamba usage during the summer (as did Missouri). Missouri has set a cutoff date for the BASF version of dicamba, and Arkansas is looking at instituting a cutoff date for spraying it next year — a restriction that Monsanto is challenging. And Arkansas’ plant board also voted Nov. 8 to ban the use of the weed killer entirely, though the state legislature has final say. “They need to do something because they cannot continue to have the number of claims that they are having because of one product,” Brush says. Regardless of what states do, more farmers will plant Xtend seeds, Bradley says. “Some of it is going to go up just because there's people that have been injured two years in a row or one year and just say I can’t live through that again,” Bradley says. Even Monsanto expects to fill half of the U.S. soybean seed demand for 2018 — 40 million acres of dicamba-tolerant crops, double what was planted this year. That could lead to more dicamba being sprayed, but it won’t necessarily mean more drift damage, Bradley says, at least for soybeans. Other crops, like peaches, could be vulnerable. What happens to those crops could be key to how the EPA proceeds with dicamba after the 2018 growing season, when the chemical is up for revaluation. There will be new restrictions on the weed killer dicamba for the 2018 growing season, the U.S. Environmental Protection Agency says. The broadly defined restrictions, similar to what the state of Missouri imposed over the summer, were announced Friday in a news release. The EPA says it reached an agreement with agriculture giants Monsanto, BASF and DuPont on ways to tamp down on dicamba drift, which has been blamed for destroying or damaging millions of acres of crops in the United States. Monsanto and BASF, two of agriculture’s largest seed and pesticide providers, released versions of the dicamba this growing season. 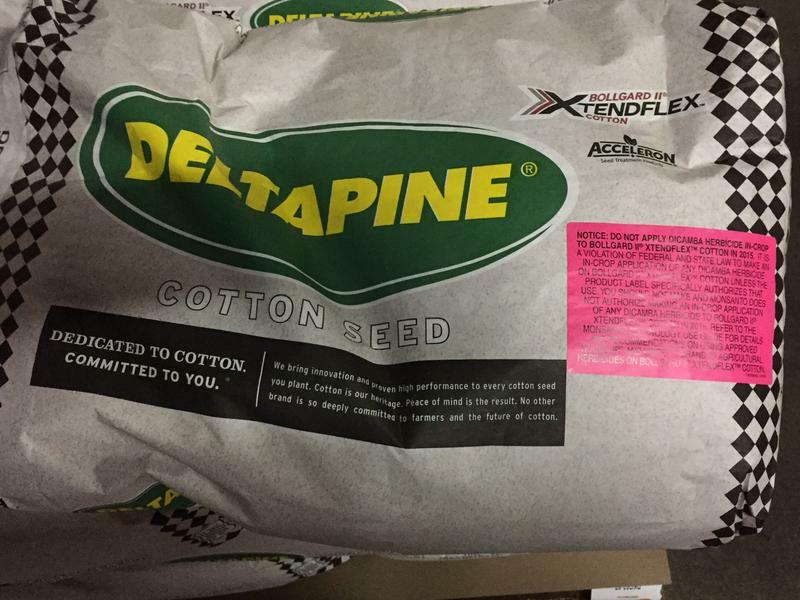 The new versions came several months after Monsanto released its latest cotton and soybean seeds genetically engineered to resist dicamba in 2016. Since then, farmers across the Midwest and South have blamed drift from dicamba for ruining millions of acres of soybeans and cotton produced by older versions of seeds. 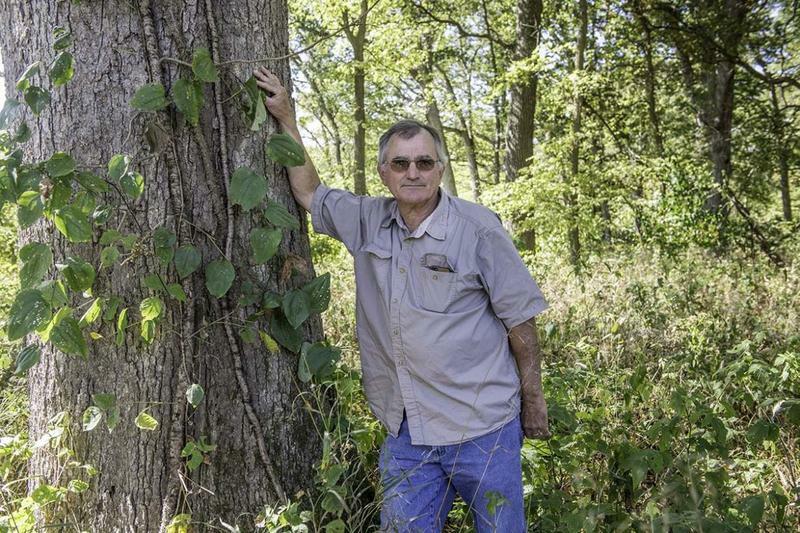 Now, complaints have emerged that the misuse of dicamba may be responsible for damage to oak trees in Iowa, Illinois and Tennessee. 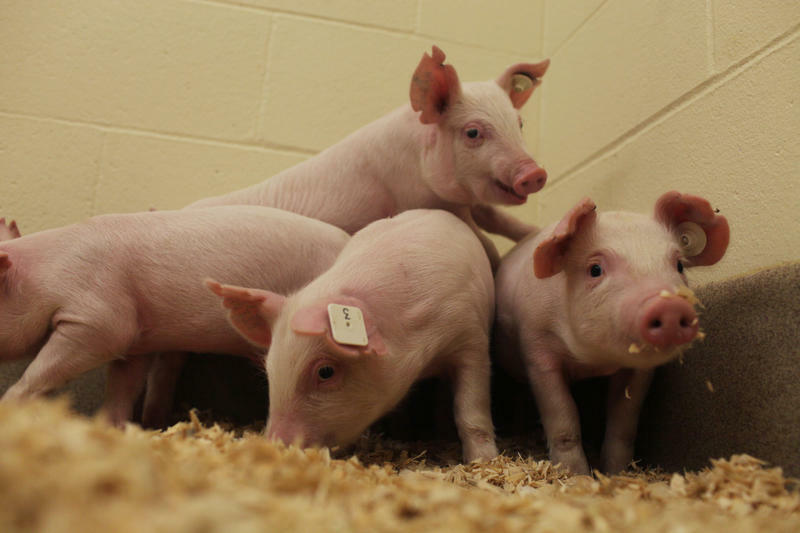 There’s a genetic technology that scientists are eager to apply to food, touting its possibilities for things like mushrooms that don’t brown and pigs that are resistant to deadly diseases. And food industry groups, still reeling from widespread protests against genetically engineered corn and soybeans (aka GMOs) that have made it difficult to get genetically engineered food to grocery store shelves, are looking to influence public opinion.